Investors will soon get to know the commissions that mutual funds pay distributors. 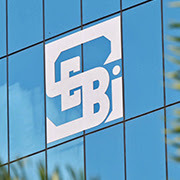 The Securities and Exchange Board of India (SEBI) has asked mutual fund houses to clearly mention the actual commission, including gifts and junkets, given to distributors in the half-yearly account statement. "The term `Commission' here refers to all direct monetary payments and other payments made in the form of gifts, rewards, trips, event sponsor ships, etc. by fund houses to distributors.